Pronto Denim is a curated collection of denim-centric fashion brands consisting of global makes like Big John, Freitag, Red Wing Boots, and Cheap Monday. With 10 different franchises nationwide and 30 different social media properties, we were put to the task of optimizing Pronto’s social media presence through a comprehensive social media restructuring as well as continuing the growth of their brand awareness on Facebook. 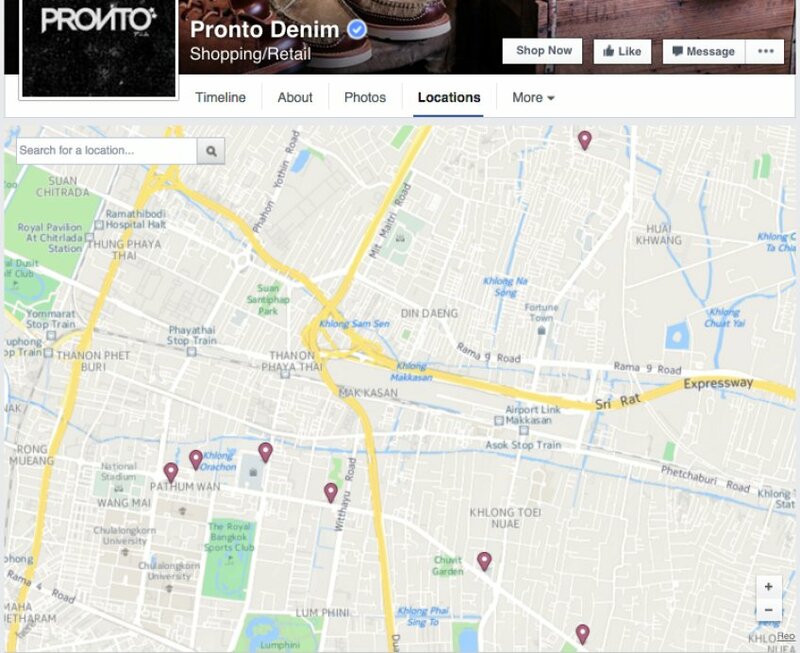 With over 30 different Pronto Denim pages on Facebook–most of which, unofficial–a comprehensive social media cleanup was required. We identified all duplicated pages and submitted them for merger, migrating their existing fans to the official Pronto Denim page and then deleting these redundant pages. 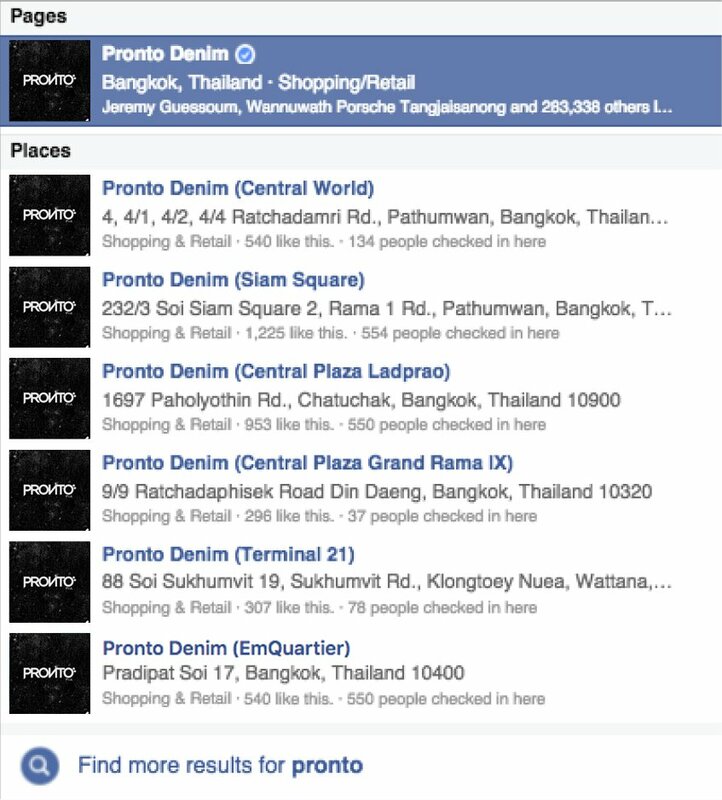 This allowed us to consolidate Pronto Denim’s Facebook presence under one single brand page. 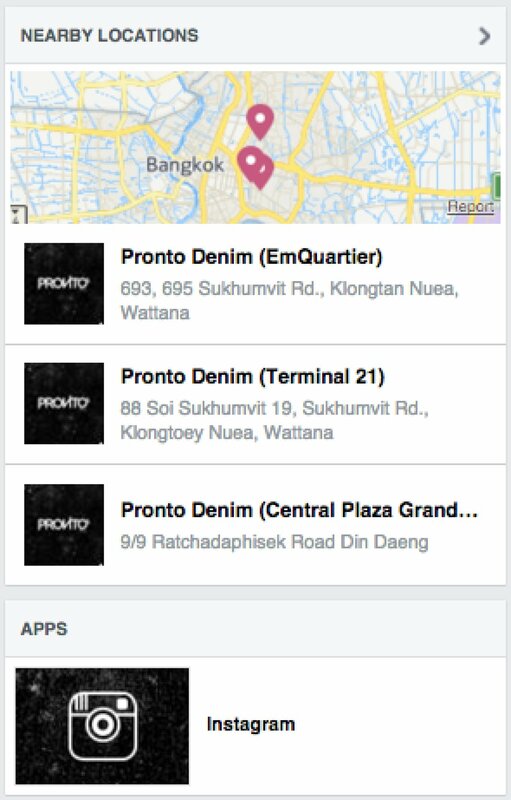 With 10 different stores around Thailand–7 alone in Bangkok–it was imperative to allow each storefront to be easily located whilst remaining under the umbrella of the official Pronto Denim’s brand page. We were able to achieve this goal through a meticulous multi-branch Facebook location page set-up, clearly segregating store locations as shown below. We then submitted an application to have Facebook verify Pronto Denim’s pages. We managed to secure a Facebook ‘Blue Badge’ verification for Pronto Denim’s official brand page–the highest level of verification on Facebook, providing optimal search rankings and intellectual property protection. We also managed to secure Facebook ‘Grey Badges’ for each store’s Facebook page to identify them as legitimate businesses. Our creative partner Invisible Ink was commissioned to develop a sleek video communicating Pronto Denim’s brand story and the craftsmanship involved in the products it curates. This video not only provided us with highly engaging content for Pronto Denim’s page, but we were also able to use it as part of our brand awareness campaign to communicate Pronto Denim’s value offerings. The single video generated over 20,000 views and helped us acquire over 2,900 new fans. To continue growing Pronto Denim’s brand awareness, we ran an advanced awareness campaign through Facebook. We sat down with the client and identified specific target groups, pinpointing key cities where awareness was to be raised. 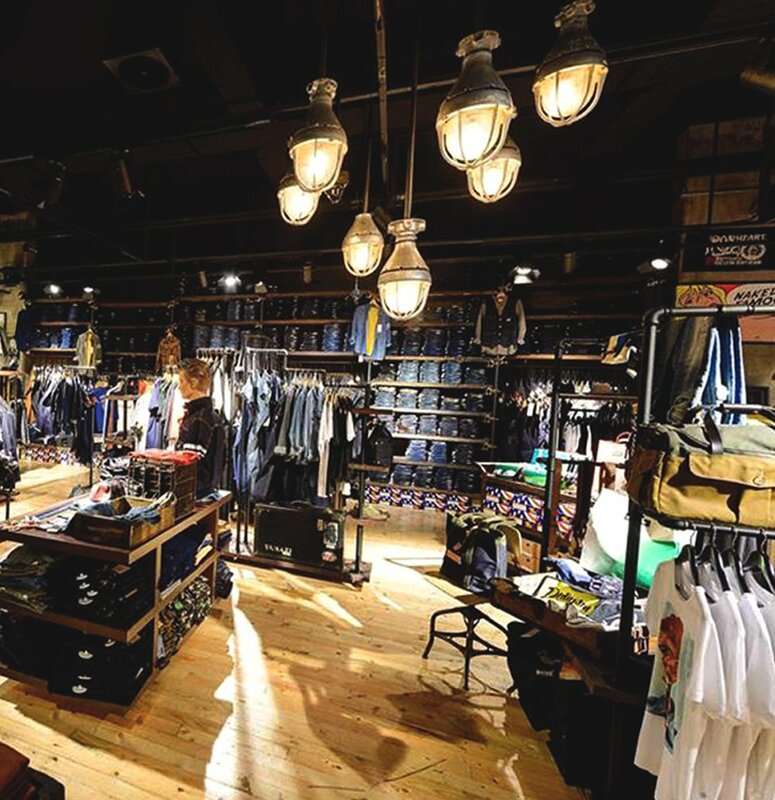 Whilst brainstorming, we discovered that Pronto Denim’s customers had different brand preferences depending on the age group they belonged to. We decided to reflect this factor in our campaign by segregating specific product types (Denim, Boots, and Vintage clothing) and breaking them down further into younger and older age groups. This allowed for optimized campaigns and cost-effective media buying. In addition, we served a variety of advert types from photography to video and used a combination of photography and copies. By doing this, we could further optimize for the best advert combinations. This compounded the optimization process and resulted in a massive fan growth of over 44,000 new fans in 2 months with an average cost per action as low as USD 0.03 per new fan. 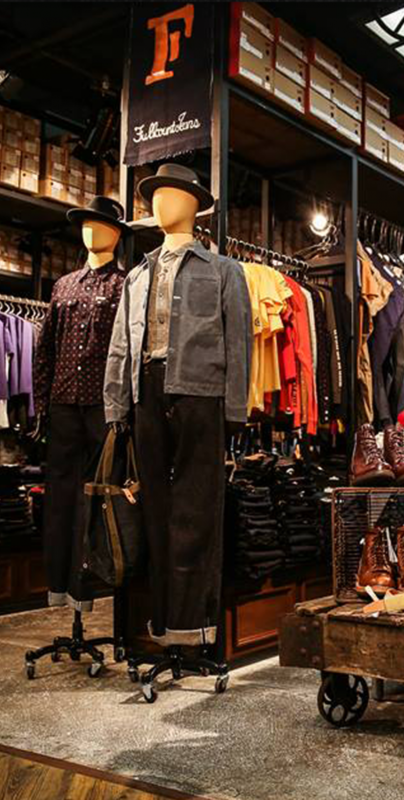 Pronto Denim’s Facebook fans base is now at 428,000 with its nationwide presence continuing to grow day-by-day.